Sprang is one of the oldest textile techniques. Unlike in weaving, no weft is used. The warps themselves are used for the interlacement! In fact, it is classified as braiding, but still gives wonderfully wide and stretchy cloth – ideal for use in comfortable clothing that allows free motion. Learn in a private class with Carol James, internationally recognized as the top instructor in the technique. Whether you want to learn sprang for authentic historical reenactment, or you just want a hat like no one else in your guild has, this is the video class for you! 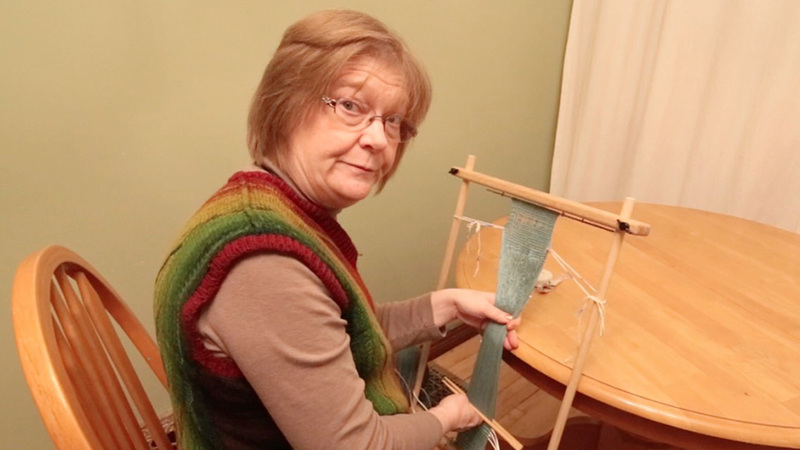 The video also discusses topics such as yarn choice, wide warps, sticky warps, and blocking. Materials needed include a frame (see video for options), Yarn, scissors, a short length of sewing thread, beads. You may also want a crochet hook or knitting needle.